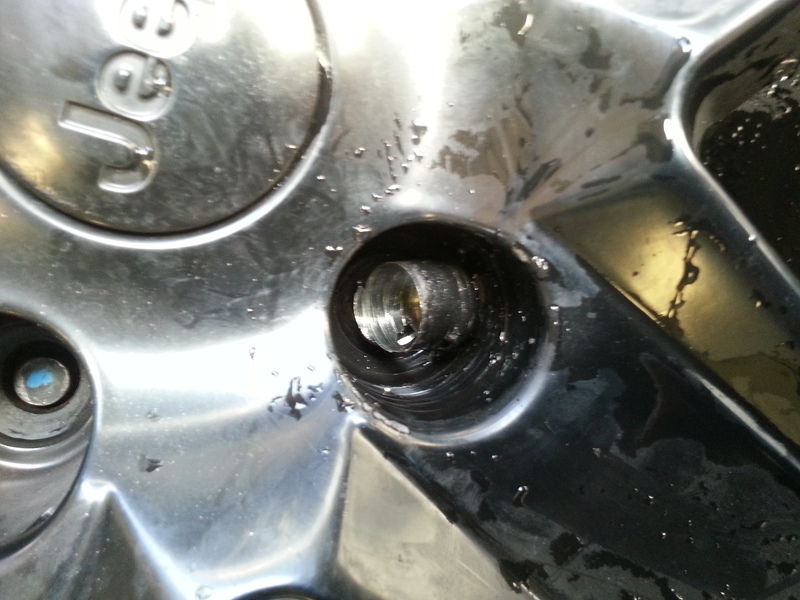 Jeep with a Lost Lug Lock- Help ! I was out marketing today and checked in with my local Dodge Dealership. The Service Manger informed me that a Tech is using my Tool right now. 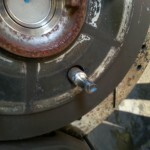 I went into the shop and found him working on a very large lug lock that the outside spins, so that all other lug lock removers base them selves as the way to remove. But there is no way that the grab from the outside type of tool would work on this. 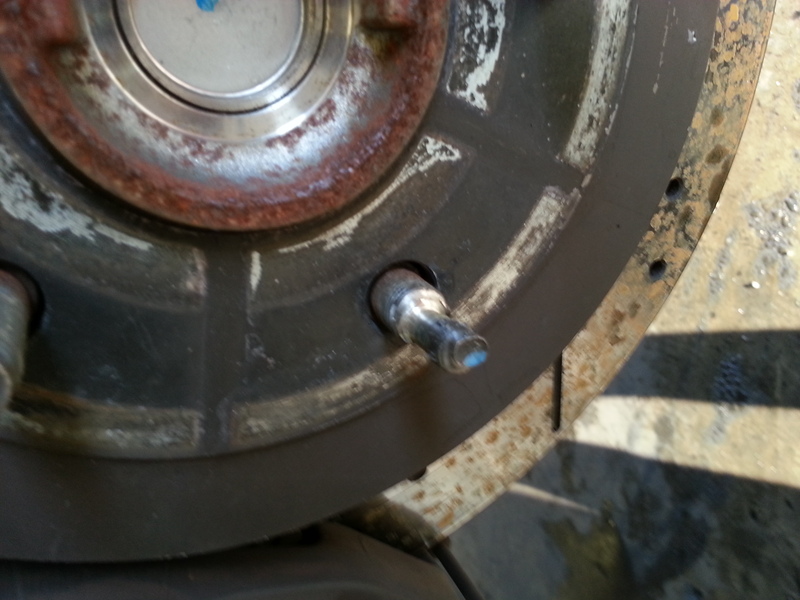 My tool is designed for lug nuts, lug locks are a different story. 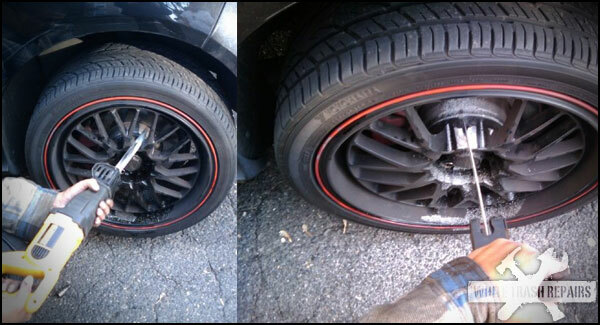 We went to work and removed the locks without damaging the rims. Another success story. Sorry for the blurry photos, I used my phone for these. 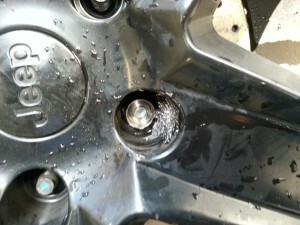 Frozen and cracked lug nut – drill out? 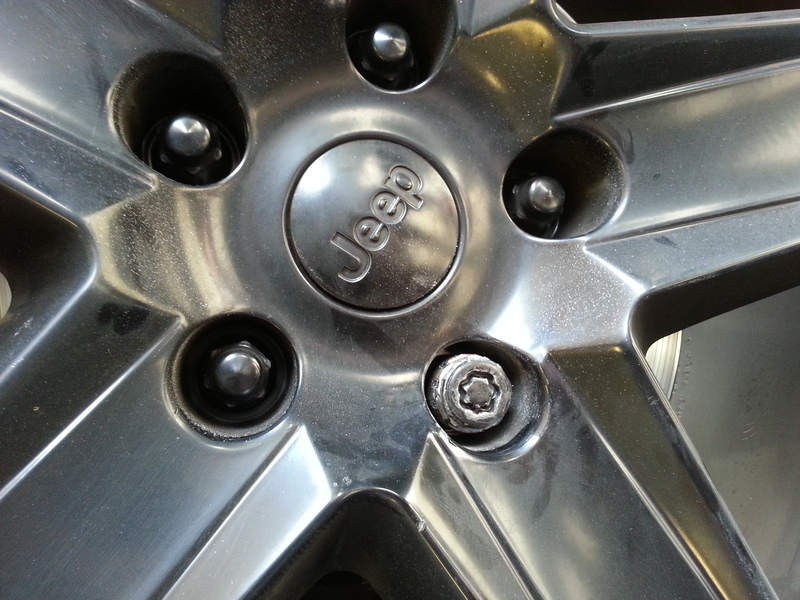 A lug nut cracked in half while I was adding some Moab wheels to my rickety old Jeep. 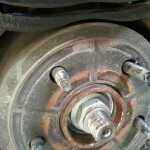 Can I drill this thing out and replace the wheel stud or should I be driving it to a mechanic? It seems pretty straightforward and simple. Am I over simplifying it? The lug is on a rear wheel. I have a Dana 35 with drums – it looks like I have enough room to push the old stud out and slide the new one in w/o removing the axle. If anyone knows if this is correct, please verify it. FYI – This lug is stuck. I bent two lug wrenches while trying to get it. Heat and PB Blaster had no effect. 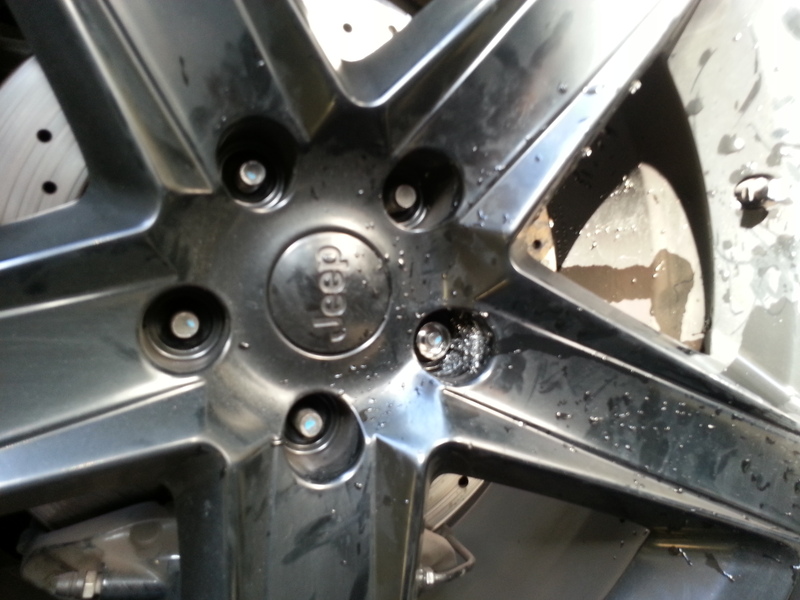 Jack on the end of my lug wrench/breaker bar had no effect. 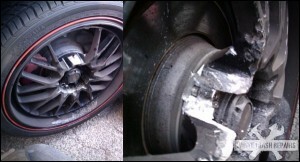 The lug nut finally stripped. 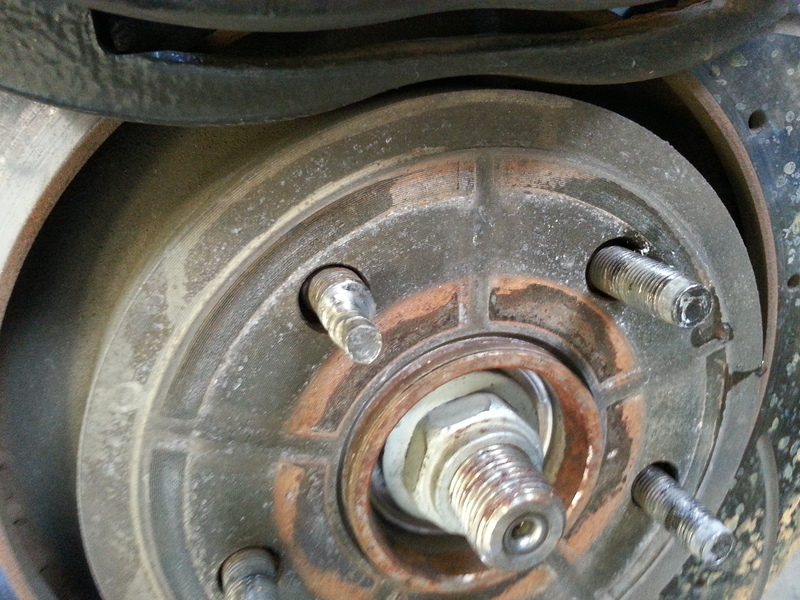 I got a stripped nut remover tool, pounded that on, cranked on it and it snapped the lug in half. Now there isn’t enough of the nut left to get a tool on it. 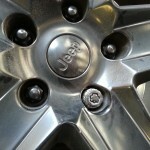 I picked up a replacement wheel stud earlier as I was expecting the stud to snap. It never did. So I have one and I’m ready to jump on it. For more information, click on this link. 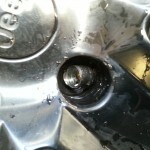 DUDE, YOU GOT PWNED BY A LUG NUT! 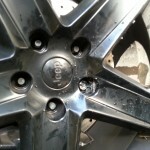 Who in their right mind cuts a rim apart to removed a stuck lug nut?? 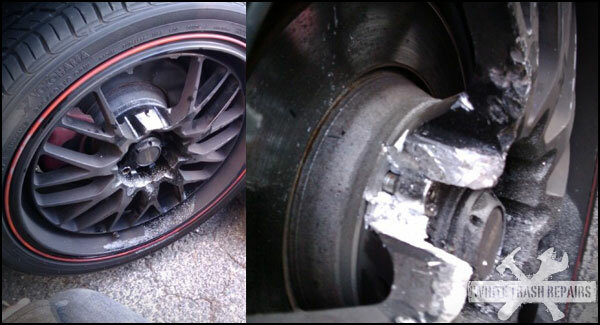 Congratulations you were just pwned by a lug nut! 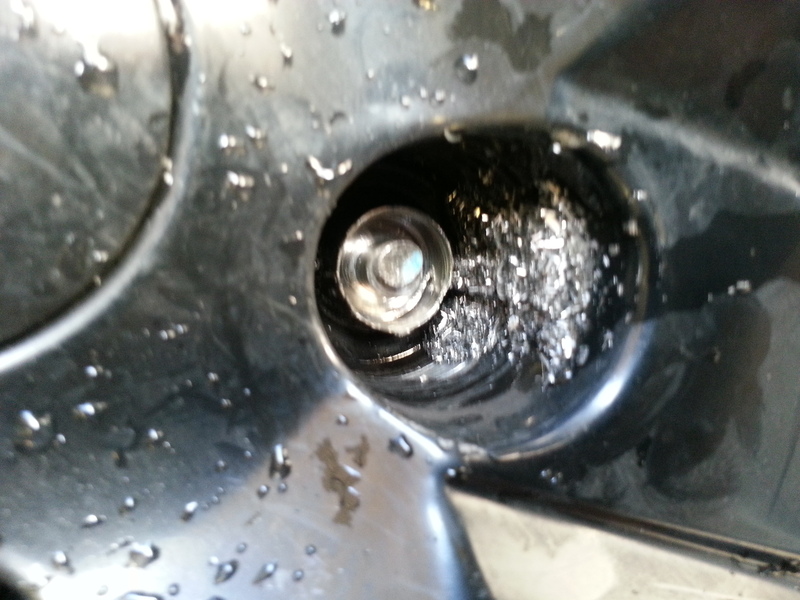 Here is a hint, next time drill it out (the center) or better yet leave the job to a professional. Just another great example of why I made this fantastic tool. 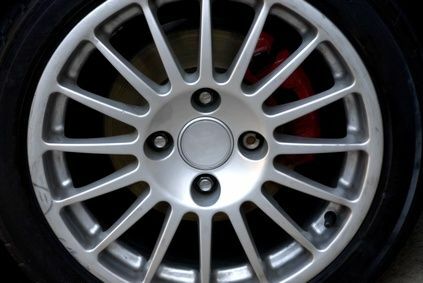 The lug nuts on your wheels keep the rims secured to the car, making sure you don’t lose a wheel while driving down the road. Like any nut, though, you could strip the outside hex shape, rounding off the lug to the point where it seems impossible to remove. 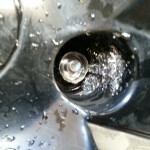 You can probably get the lug nut off without resorting to a professional mechanic, but you’ll have to get creative to do so. 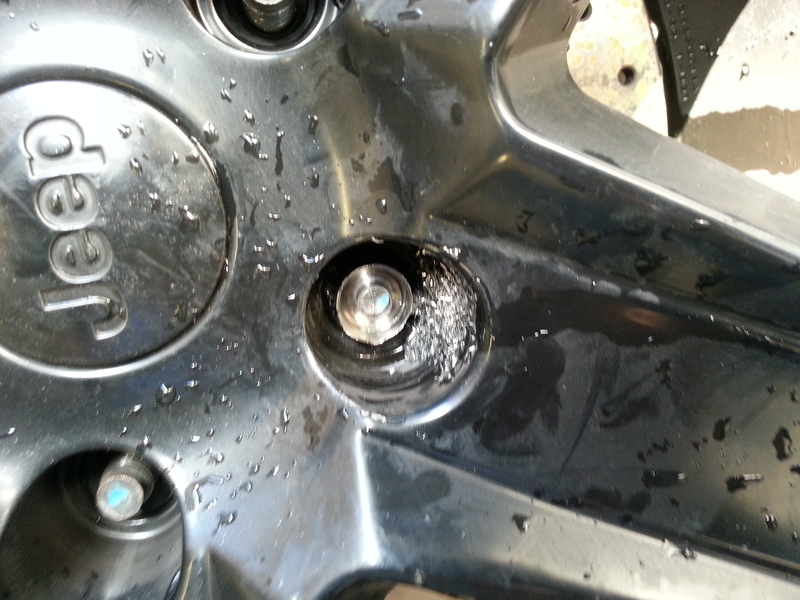 Twist off lug nut removal tools do not fit inside after market rims with small holes, ours does, every everytime.